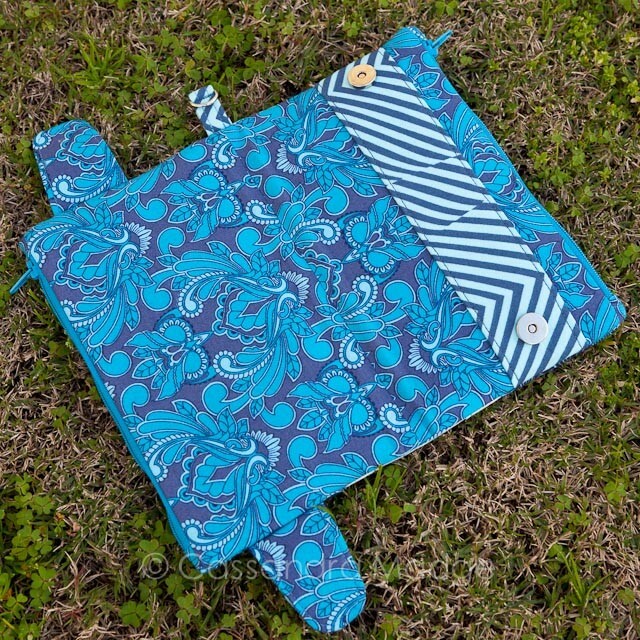 Della Wallet Clutch with directional fabric. If you follow me on Instagram, you would have seen a tease of my latest finish…. 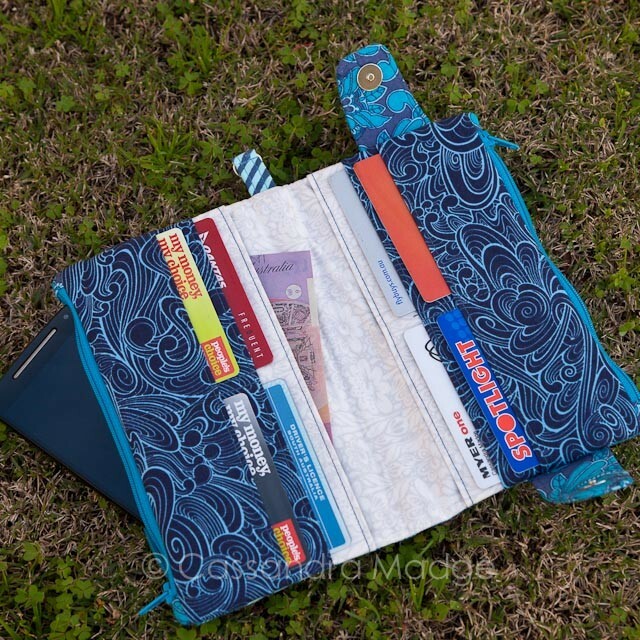 not a quilt, but a new wallet, featuring the fabulous Tula Pink True Colors line, as stashed on Saturday. 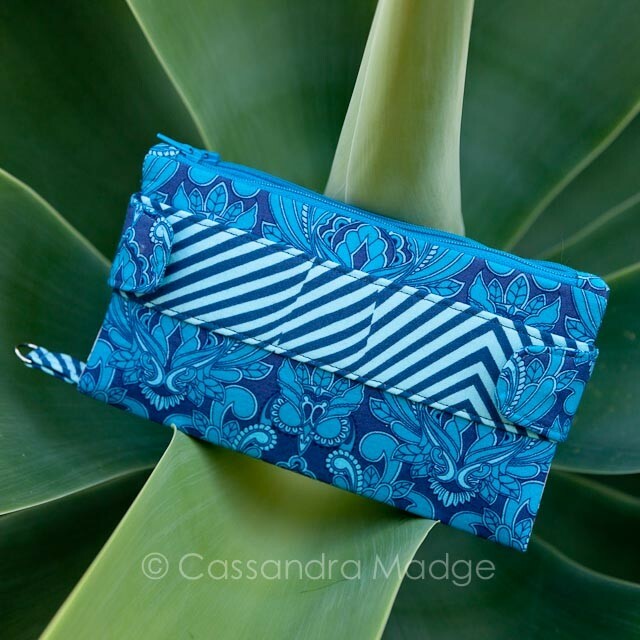 This is the Della Wallet Clutch as designed by Swoon Patterns. Alicia, the genius behind Swoon makes the most fabulous bags, totes and purses. I have been dreaming of making one for months and I finally got the urge to cut once my amazing owl fabric landed in my letterbox. It’s my first experience making this kind of pattern, with magnetic snaps and amazing stiff interfacing and all the millions of layers. The pattern is really well written, and if you follow it step by step, you will have no problems. 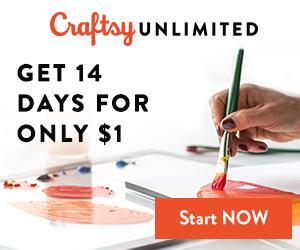 I also found a video walkthrough on the site So Sew Easy which was very helpful. Of course, being me, I couldn’t leave well enough alone and I made some small modifications to the pattern. Firstly, because my owls were directional, I wanted to split the outer panel into two pieces to keep them upright front and back. Although with the wide strap across the front, you possibly could get away without doing this, depending on the size of your fabric print. Secondly, because I had a fat quarter print for the inner, not a width of fabric cut as recommended in the pattern, I needed to make a join in the inner pleated panel. I opted to make a feature of the secondary pattern created inside, and I’m so happy I did! Thirdly, thanks to the So Sew Easy review, I actually moved the markings for the snaps on the rounded tabs out by about 1/2 an inch because I knew that with my cards and phone in my wallet it would be stuffed full right from the word go. I’m very glad that I did and I would definitely do it again. So, on to the pattern. 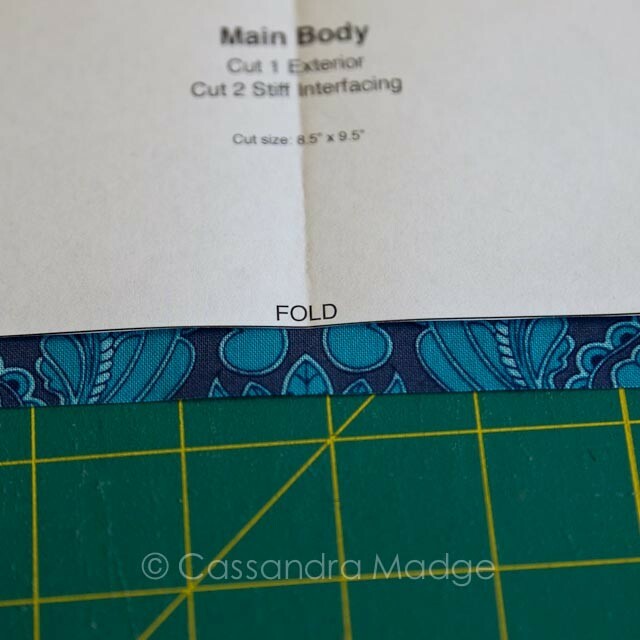 Very simply, instead of cutting the outer pattern in one piece on a fold as directed, I slid the paper pattern up until the ruler was 1/2″ past the fold line marked on the long side and cut one piece of fabric. I then lined up on a second section of fabric and repeated the same manoeuvre. 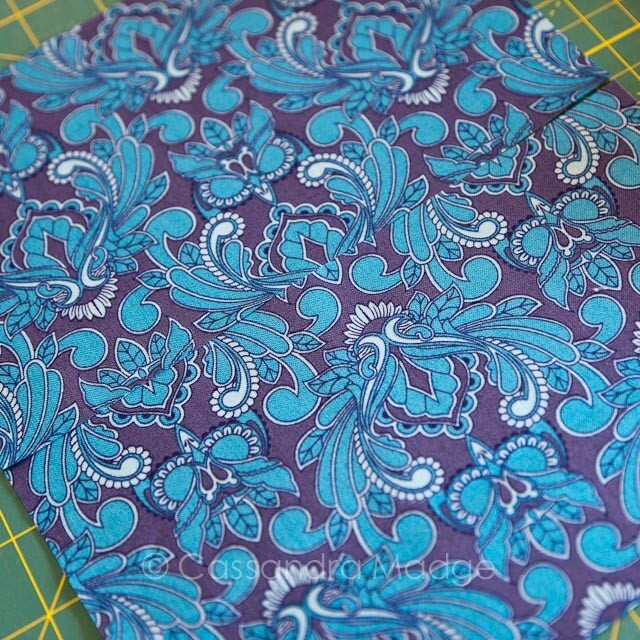 Now I had two directional pieces, each half an inch longer than the pattern required, giving me a 1/2″ seam allowance. Folding the paper pattern in half gives you a useful reference mark so that you can centre your pattern feature horizontally. 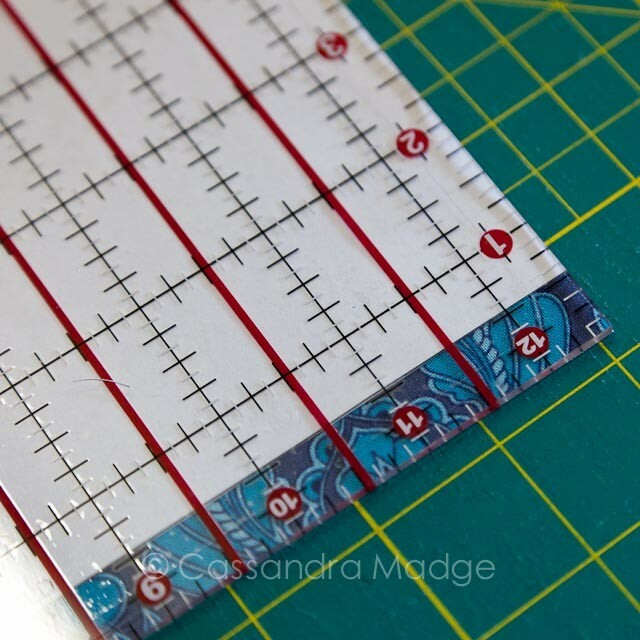 You can see here how I simply extended my cut line 1/2″ past the fold line. Note that the cut size listed on the pattern is for the full unfolded dimension. 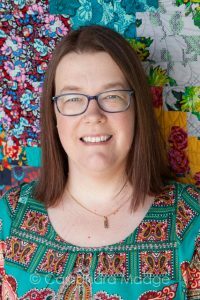 The paper pattern given is 4 3/4″ by 8 1/2″, making each fabric piece I cut 5 1/4 by 8 1/2″ (giving you 1/2″ seam allowance). Here are the two panels cut out – I centred the owl horizontally on the back panel, and then lowered the feature owl for the front so as to be seen below the strap panel. Don’t forget to turn them around so that they are facing into each other before you join them! Finally stitch a half inch seam, as per the extra fabric allowed when cutting out the pattern. I pressed this seam open to keep the bulk flat on this centre spine. Double check your finished piece that it matches the listed measurement (in this case, 9 1/2″ by 8 1/2″). 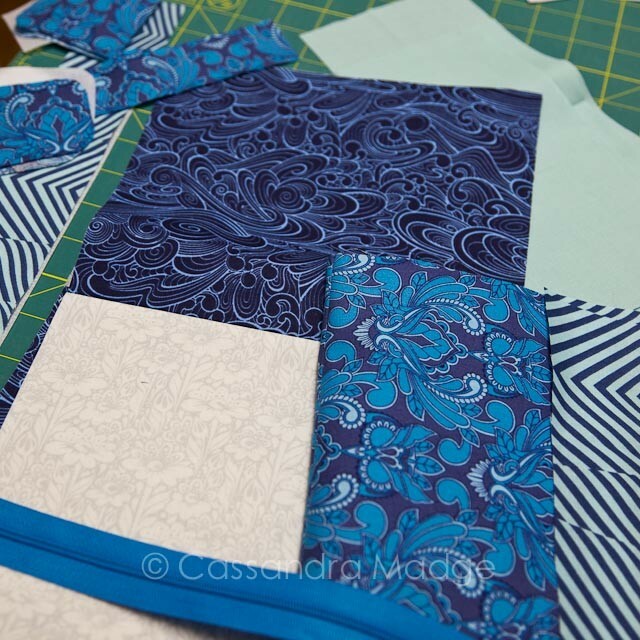 Here are all my pieces ready for sewing – all fabrics here except for the plain aqua for the zip pocket linings are from the new Tula Pink collection. The finished wallet is everything I hoped it would be. Thanks to Alicia’s directions, I am over the moon with my zipper ends – the neatest I’ve ever sewn! Here you can see the changes in direction of the outer fabric – the whole owl centred on the back and the owl head centred underneath the stripe panel. Plenty of room for my important bank/store cards, money fits neatly in the bill section, and my phone (Motorola Moto G 2nd Gen) fits beautifully into the zipper section, leaving another large zip for coins. I also love that I can get my phone in and out without having to unfold the wallet. 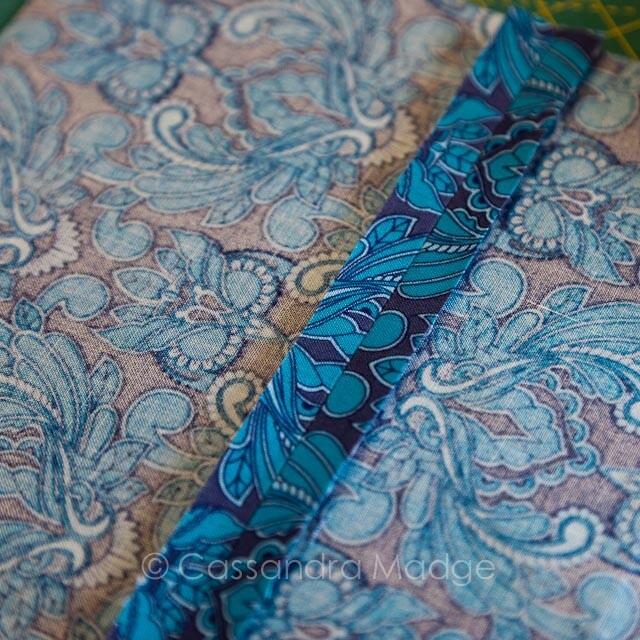 You can see here the combination of two fabrics I used for the inner pockets. 19″ long for the grey Daisy Bud and 8 1/4″ for each of the Making Waves prints. This puts the seam down inside the pocket, out of sight. To sum up – love the pattern, the design and fabric possibilities and the fantastic instructions. I have already started cutting out for a second one, and I know it will go together even quicker for what I’ve learnt this time. 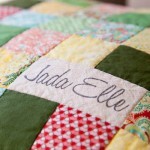 I’m also excited to give another Swoon pattern a go! EDITED TO ADD: The lovely Laurelle asked in the comments if I got my interfacing/stabilizer from Spotlight, as there is often difficulty locating the american brand equivalents. Yes, I did. Spotlight now has a decent sized Legacy brand selection. For the rigid stabilizer, fusible on one side, I used L-71F and for the stiff interfacing I used L-911FF. I have no idea if these were the correct choices, but they definitely did the job. The pattern also requires some softer “Featherweight” interfacing and I used some soft dressmaking fusible I had on hand for that. Hope this helps anyone who is looking! 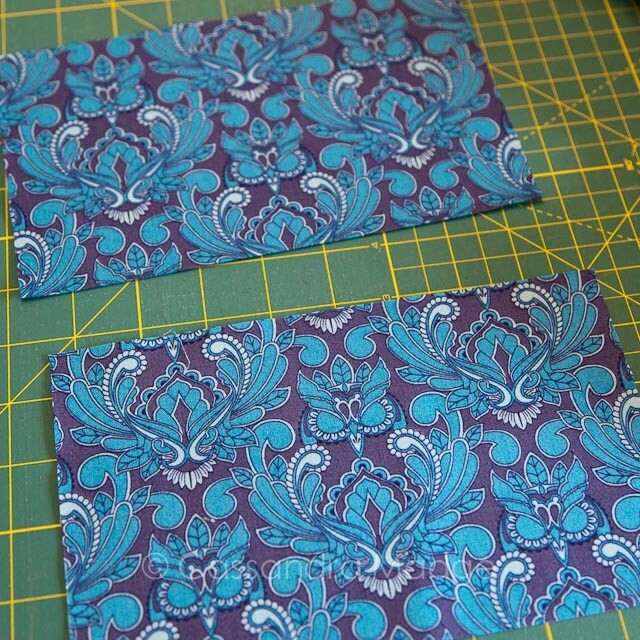 What amazing fabric combinations can you dream up for one of these wallets? 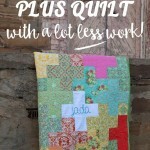 How to make a plus quilt….. with a lot less work! Looks great. 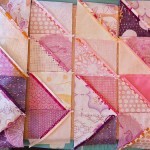 I love the Tula pink fabric. What sort of interfacing did you use and did you get it from good old spotlight? I find I never know what to buy because a lot of patterns are from the US and they have different names so I am always confused about thickness. Thanks Melissa. I’ve been getting compliments on it out shopping already! Thanks for the tips Cassie – I am just about to try this wallet, with interfacing from Spotlight, only I’m pretty sure the stuff I bought is called Formfuse, not the Legacy brand. Next time I will look for it! 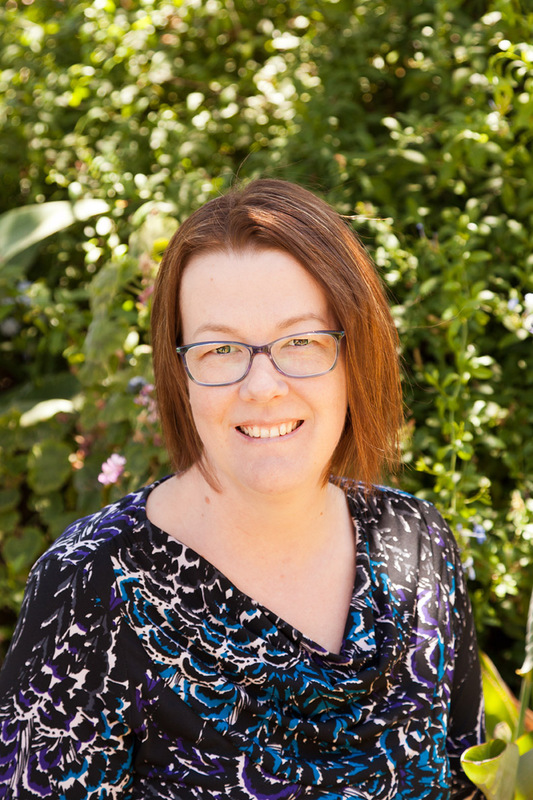 Hi Maree, thanks for your feedback! This post is quite old now, and I know that Spotlight have recently re-vamped their interfacing range. 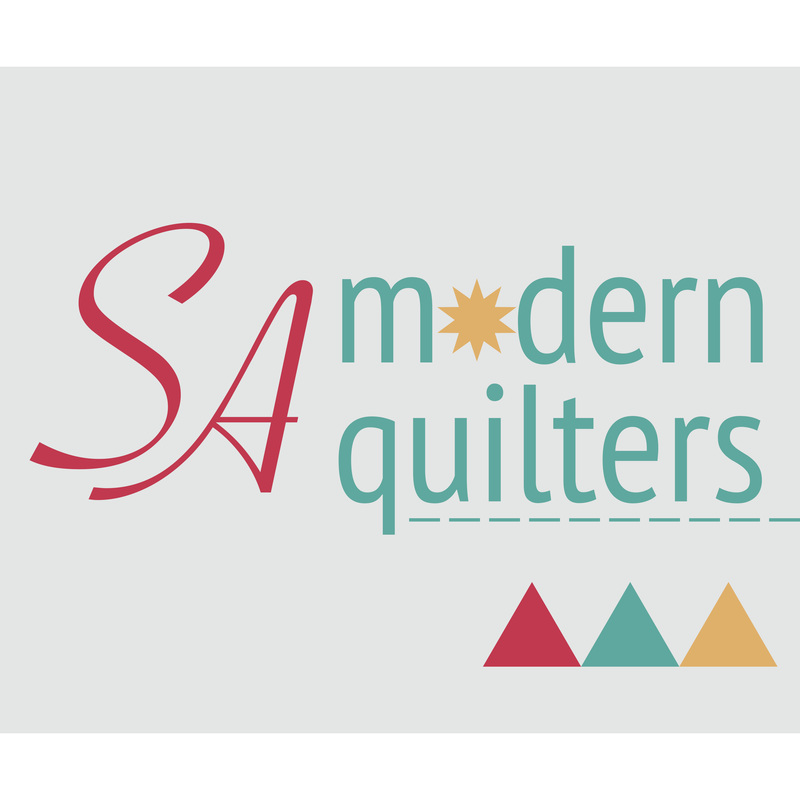 You may find some of the Legacy products left over in the quilting department, they are different to the ones in the fashion sewing area in my Spotlight. 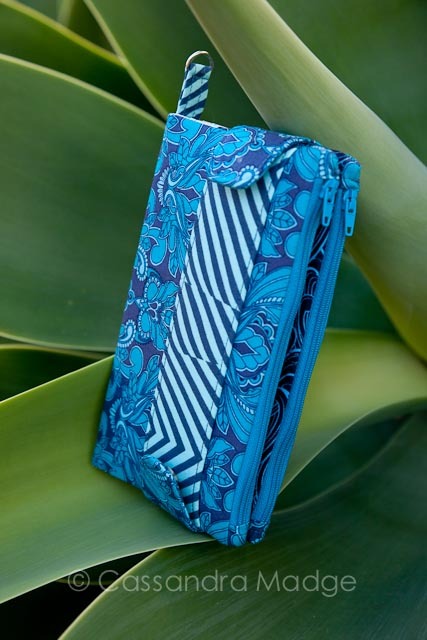 Alternatively, I’ve been making bags and wallets recently with interfacing purchased from Betty Box Pleat which is an Australian on-line store which has a great range of sewing and bag making supplies. Well worth a look. 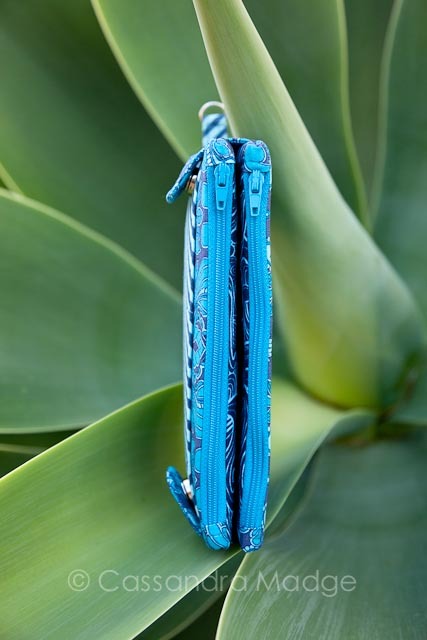 Keep an eye on the blog for my latest wallet, as Della has finally worn out.